U.S. Secretary of Education Betsy DeVos testifies during a hearing on the proposed Department of Education budget. "It's fitting that we're in Indiana, one of the states that is providing real choices for families and students," DeVos told the crowd. 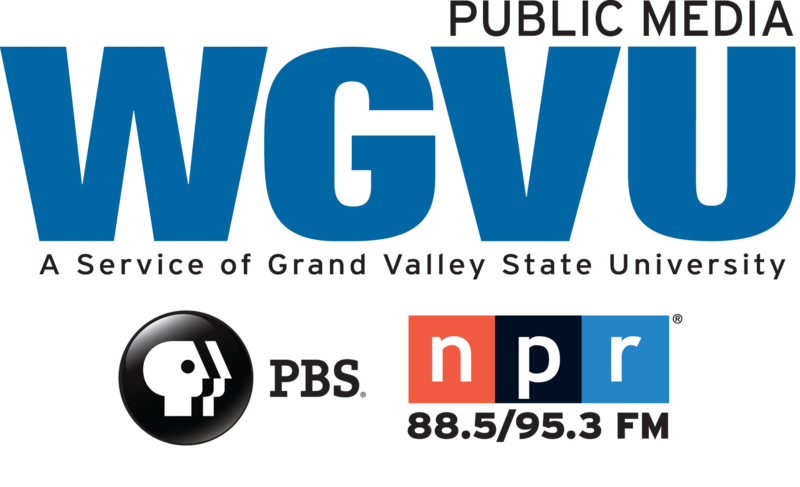 Indeed, as the NPR Ed Team reported recently, Indiana is home to the largest single statewide voucher program in the nation. Once billed as a modestly sized "social justice" program for low-income students looking to leave low-performing public schools, the state's Choice Scholarship has grown into something else entirely. For more on that, grab a comfortable chair and read (or listen to!) this. After praising Indiana and celebrating a few students who have thrived using vouchers, DeVos laid out her school choice vision. "The time has expired for 'reform,' " Devos said. "We need a transformation – a transformation that will open up America's closed and antiquated education system. If we really want to help students, then we need to focus everything about education on individual students – funding, supporting and investing in them. Not in buildings; not in systems. It shouldn't matter where a student learns so long as they are actually learning." "The president is proposing the most ambitious expansion of education choice in our nation's history," DeVos told the crowd. What will this expansion look like? And how will it work? Still, there is consensus among education experts that, when the President's pitch is finally fleshed out, it will likely resemble something called a tax-credit scholarship. For more on what that is and how it might work, try this, this and this. Tuesday brought a very real unveiling — of President Trump's 2018 budget, including his vision for education. 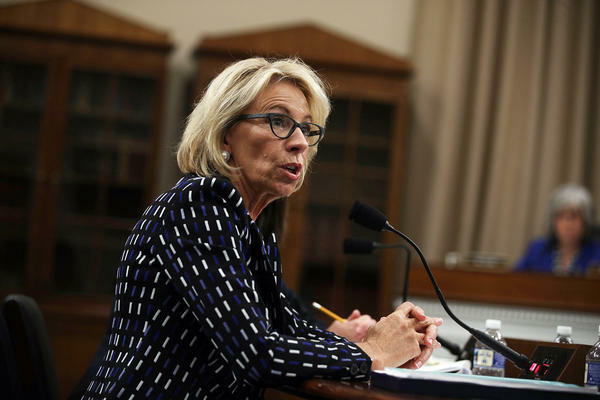 The Education Department faces a 13.5 percent cut in spending, including the elimination of $1.2 billion in after-school programs and a $2.3 billion program to reduce class sizes and train teachers. On the higher ed front, Trump's proposal would cut the Public Service Loan Forgiveness Program, pull back on the federal role in subsidizing student loans and consolidate the many repayment plans now available to student borrowers into one plan. That plan would cap monthly payments at 12.5 percent of discretionary income and forgive the balance of a loan after 15 years. The budget wasn't all cuts. Trump and DeVos proposed setting aside several hundred million dollars to expand charter schools and private school vouchers. The budget would also make Pell Grants for low-income students available year-round. The proposal was roundly criticized by advocacy groups representing students, teachers and school leaders. "The Trump administration's budget request is an assault on the American Dream," according to a statement from former Education Secretary John B. King, Jr., who is now president and CEO of The Education Trust. "This shortsighted and cruel proposal would make the climb to success much steeper for all our young people, especially students of color and students from low-income families." For more details, check out our earlier reporting here and, as always, keep this in mind: Every budget is like Cinderella, a burst of big dreams in desperate need of a Fairy Godmother to make them come true. Without Congress, this budget will forever stay a scullery maid. On Wednesday, the day after the budget unveiling, DeVos defended it before a House appropriations subcommittee. In her opening statement, she said Trump's proposal would return power to states and school districts and give parents more choices. Democrats questioned DeVos about whether she would allow federal funds to go to private schools that discriminate against particular students. Rep. Mark Pocan of Wisconsin called vouchers in his state a "failed experiment." He cited press reports, quoting NPR among others: " 'Over the years much of the research found test scores flat, lower in some cases or slightly improved in others.' "
In one of the most heated exchanges, Rep. Katherine Clark of Massachusetts brought up Lighthouse Christian Academy, a school in Bloomington, Ind., that receives $665,000 in state vouchers and denies admission to LGBT children. The school and its policies were highlighted in our recent report on vouchers in Indiana. "Is there a line for you on state flexibility?" Clark asked, seeking from DeVos clarity on whether the federal government would protect voucher students from discrimination. "You are the backstop for students and their right to access quality education. Would you in this case say we are going to overrule and you cannot discriminate, whether it be on sexual orientation, race, or special needs in our voucher programs?" Clark added. "Will that be a guarantee from you to our students?" For more on the hearing, here's our story. While DeVos was on the Hill, James Runcie resigned as head of the Federal Student Aid office (FSA) in the Education Department. The office administers $150 billion in grants, loans and work-study to help 13 million students pay for college each year. Those programs are facing deep cuts under Trump's budget proposal. Reaction to Runcie's departure split along partisan lines. "FSA has faced a litany of unsolved problems going back years," Liz Hill, a spokeswoman for DeVos, told NPR. Hill, as well as Republicans in Congress, pointed to recurring allegations of financial mismanagement and to online security lapses. Runcie was scheduled to testify before the House oversight committee on Thursday. "He chose to resign rather than face Congress," Hill said. In an email response to NPR, Runcie denied this: "I did not leave simply to avoid a hearing on improper payments," he wrote. "That is not credible." He declined further comment. The New York Times and The Washington Post introduced a different explanation: According to his resignation memo, Runcie left because DeVos was considering moving student loan oversight to the Treasury Department. There are 15 positions requiring Senate confirmation in the Education Department. All but DeVos' are unfilled, according to a tally by The Washington Post. One of Harvard's most famous dropouts, Facebook founder Mark Zuckerberg, returned to accept an honorary degree at the college's 366th commencement. The 33-year-old billionaire is rumored to have political ambitions, and the speech touched on heavy-duty issues like climate change, globalism, the importance of education, the burden of student loans and "universal basic income" as a solution to technologically based shifts in the job market. "We can fix this," he told the graduates.